Alliance International IT is likely to specialize in catering to various needs, along with PSD to HTML package. We are going to offer you with responsive forms of conversion services, which are working under various companies. As we are the leader in PSD to HTML conversion, therefore; you are always going to get the best help under this category. We are here to convert your Photoshop designs into 100% hand coded and pixel perfect solution. Under our PSD to responsive HTML, we would like to offer you with W3C designs with great compatibility, as well. We are glad to be by your side, from start till last. We are here to offer you with W3C validated service, along with cross browser compatibility. It works under HTML, XHTML or CSS markup, with the proficient use of CSS2.1 or even CSS3. Just be sure to give us a call, and we are always glad to be by your side from start till last. You can even get some finest discounts for our PSD to HTML conversion package. Be the first one to come and grab those deals. After going through your requirements, we will start working for the PSD to responsive HTML. Our conversion services will always live up to clients’ expectations. And that’s what makes us different from the rest, and always your first hand choice. We are dedicating our work under your package. So, we will offer total concentration on you work, and will handle your work only, at a time. You can ask our experts, to know more about the services, we have in store. You can even go through our previous works, to be sure of your requirements. We have some experts, all ready to convert your said Photoshop designs to the current HTML codes for betterment. It will promise wider audience base. We can further provide you with hand coded versions of strict XHTML markup. 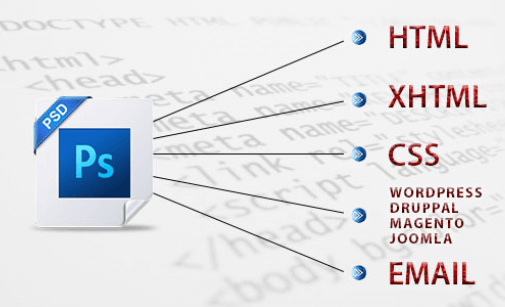 Get to call our team of PSD to HTML experts for immediate help. Be the first one to like our responsive HTML design. Here, responsiveness is likely to be embedded within the HTML codes. Whether you want to transform from PSD to XHTML or to CSS2F, we are always here to help you with the best results. It will help in embedding codes perfectly to new developed designs. Under the email templates, you can create superb assistance from our experienced developers. Get in touch with the latest web standards of HTML with our expert help. We are aware of latest standards and want to provide you with the same. Get some help under HTML or CSS to SASS packages. We make SASS compatible with HTML for your use. You can even get the opportunity to turn PSD to responsive, with our team by your side. We are proud to offer you with integrated solutions, which are latest in the kitty. 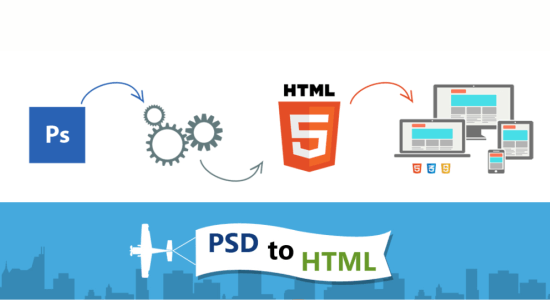 Join hand with our PSD to HTML package for the right results. It starts from web development to the email template designs. These solutions are integrated well latest web standards. We always make sure to provide quality when it comes to PSD to HTML conversion service. We are likely to accept designs in different file formats. Some basic examples are TIF, JPG, GIF, AI and even under PDF values. Firstly, we would try to slice image and combine it with layers for adding more elements to it. For avoiding any form of technical issues, we would like to use pixel hand coding. That will enable the website to be accessed on diversified web servers across world. With the help of responsive web design, we would like to reduce the present website management cost. That will help our clients to save a considerable amount of time. It will also become quite easy to maintain and manage single website through singular administrative interface. It can further be optimized in an easy manner. Thanks to our team from Alliance International IT, it is going to be the finest experience for you, while dealing with PSD to responsive HTML. We are glad to be by your side, and offer requisite help, as and when required.